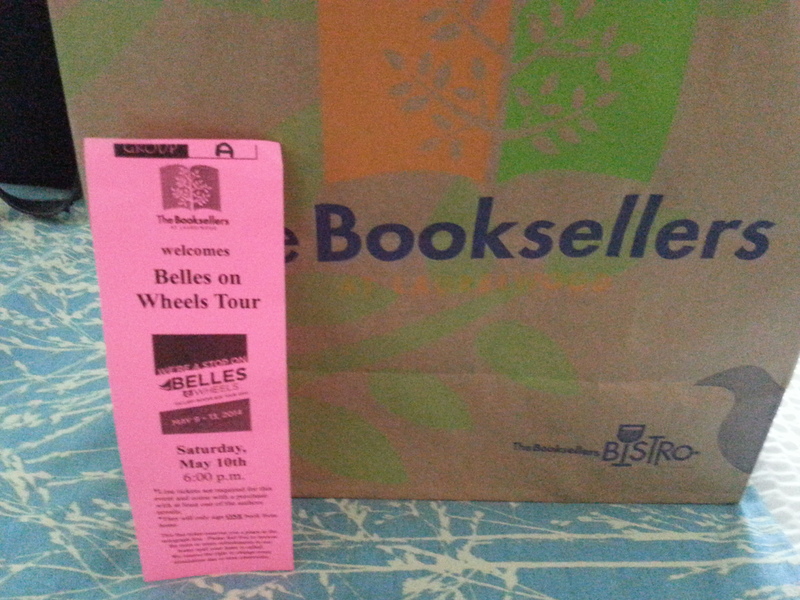 Several weeks ago I was reading about the Gallery Books Belles on Wheels tour which would include two of my favorite authors, Kresley Cole and Alice Clayton. 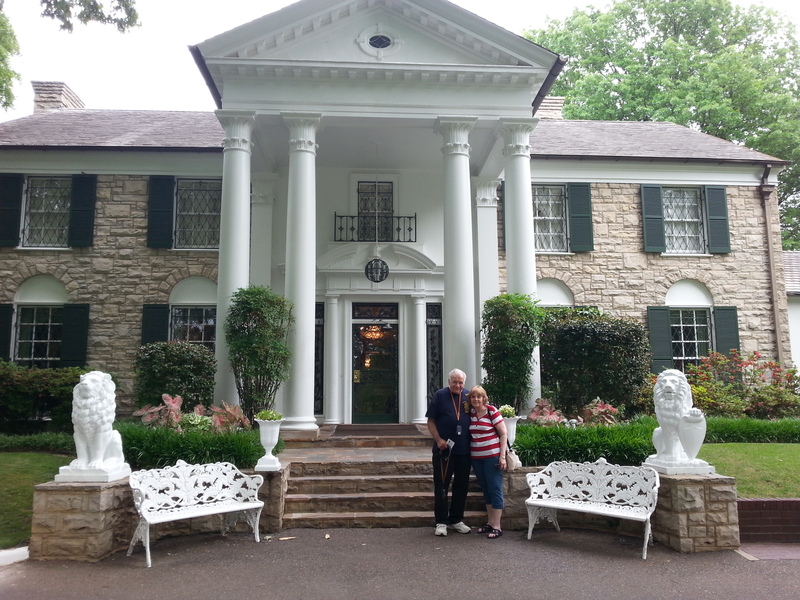 I was depressed since the closest they would come to New York would be Atlanta, GA. 🙁 When I noticed that the tour schedule would be going through Memphis, TN, I came up with the bright idea that it was finally time to get Mom down to her Holy Land…I mean, Graceland. So plans began for a road trip from NY to Memphis. After we returned from Graceland, our next stop was to the Booksellers at Laurelwood where the signing was taking place to purchase my books and get my line ticket. I had contacted the book store weeks before to find our how the book signing was going to be handled since I didn’t want to arrive on Saturday to find out all the tickets were given out. Since we shopped early, we had Group A tickets. Woo hoo! We arrived an hour early to the book signing and sat in the front row with our Group A tickets and I was so excited I couldn’t keep still. The bus was running late and instead of a start time of 6:00, the authors didn’t arrive until 6:15. A check of the signing schedule shows that they were signing in Birmingham, AL, at noon on Saturday, and were leaving after the Memphis signing to be in Dallas, TX the next afternoon. 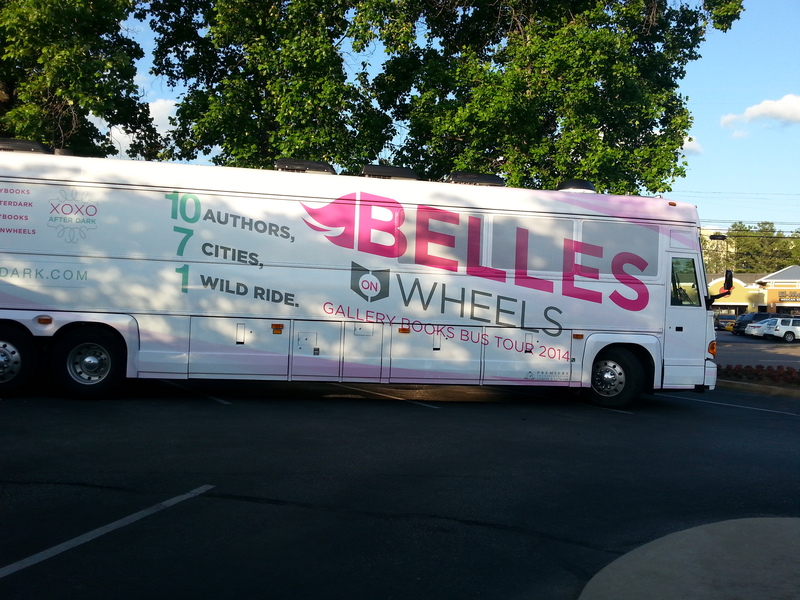 I can only imagine that this was a grueling trip for these authors driving non-stop from one city to another. Although we started late, the Gallery Book staff had the signing down to a science and everything started right away and the line moved right along. I just happened to be standing at just the right spot where they decided to start the line, so I was first in line. (Yay me!) I went straight over to Alice Clayton and she signed my bag of Chex Mix. I was giddy with joy! The authors signing on Saturday were Emma Chase, Alice Clayton, Kresley Cole, Kyra Davis, Lisa Renee Jones, Christina Lauren, Jennifer Probst, S.C. Stephens and Kristen Proby. Although I tried to sneak in a copy of each author’s book before the signing, my TBR list and prepping for the trip quickly squashed that idea. I was only able to get to the newest Jennifer Probst book, Searching for Perfect, which I enjoyed. I guess my only disappointment would be that in order for everyone to have a chance to get their books signed there really wasn’t much time to talk with the authors other than gush about how much I loved their stories. I would have loved to have some time to discuss favorite characters and scenes and what they had planned for future stories, but I can appreciate that if I had taken time to get into a discussion with each author, there would have either been many disappointed fans who didn’t get books signed or I would have made the authors late for their next signing. All-in-all I had a wonderful time finally meeting my favorite authors and getting my books signed. Mother’s Day morning we started our long, long, long drive back to New York. We arrived home on Monday afternoon very tired but happy to be home. I was surprised by Mother’s Day flower baskets hanging on the front porch and a freshly cleaned house. Maybe I should go away more often. What a great experience … thanks for sharing!